6 cards, 5 of which are autographs for 7 bucks. Not bad and when you factor in the fact that these players are decent, then it comes out to a great haul for a low end collector like myself. Ricky Romero Topps Chrome #’ed to 99. I only paid a quarter for Romero card. While not the most special, it was worth the flier to me. I feel numbered cards a tad undervalued and as a low end collector, I have to play moneyball. Speaking of moneyball, the autographs I got were positions that are extremely undervalued in the card market. 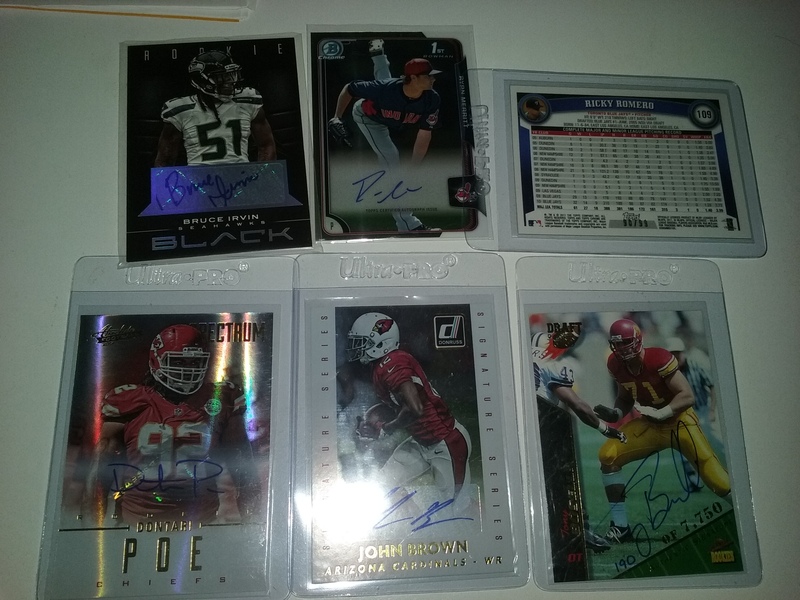 I clean up on offensive lineman and have a ton of great defensive players cards as well. A comparable defensive player at a position like running back or wide receiver would be quadruple the price. I did pretty good on the autographs as I got 2 starters on quality teams, a Hall of Fame candidate and personal favorite in Tony Boselli, a decent receiver, and a lottery ticket. 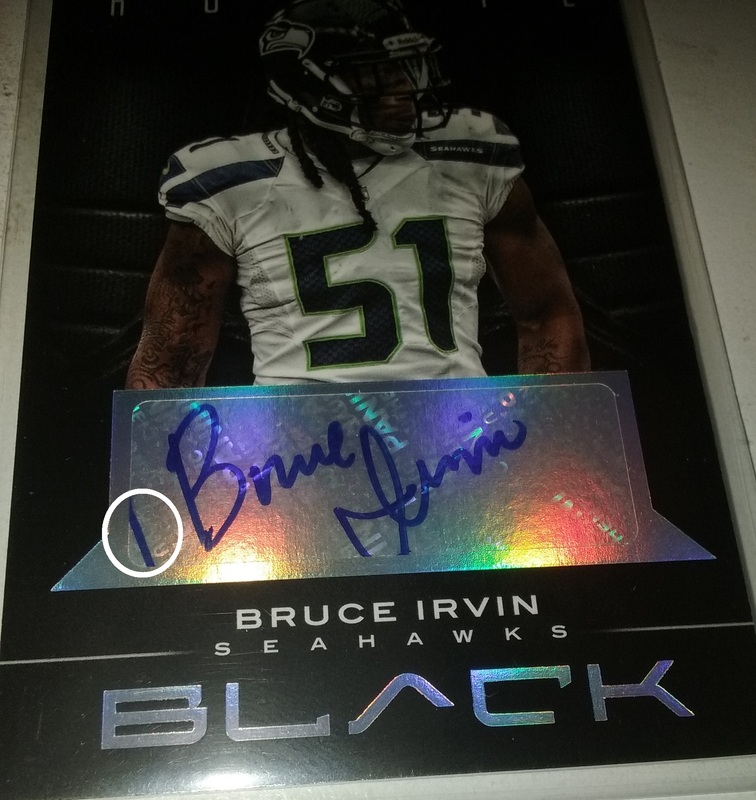 As for the headline gripe about sticker autographs, the Bruce Irvin autograph shows how players are so automated with their autographs as a portion of another one of his autographs is on this card. You can see it in the circled part of the picture. I have to be honest, it doesn’t bug me like it might bug some purists.